How Does Baltimore Like Its Coffee? We recently conducted market research on coffee trends in the Baltimore area. To see the results of our findings, please read on. 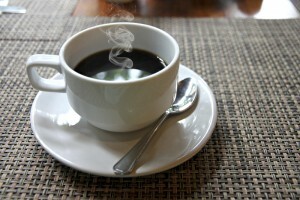 Starbucks was reported by 97 of 500 respondents (19%) as their source of caffeine most often. The most popular activities among Starbucks drinkers were reported as shopping (86%), reading (82%), going to the theater (86%), and watching sports (68%). The two age-ranges that reported Starbucks as their source most often were 46-55 years old (27%) and 26-35 (26%). Dunkin Donuts was reported by 113 of 500 respondents (23%) as their choice of caffeine source. The most popular activities among Dunkin Donuts drinkers were reported as reading (81%), followed by shopping (77%) and watching sports (64%). Respondents ages 36-45 years old (26%) and 46-55 years old (25%) reported Dunkin Donuts as their source of caffeine most often. Brewing at home was reported as the most frequent source of coffee with 321 of 500 respondents (64%) choosing this option. This was the most popular place of those ranging from 46-55 (27%) and 56-65 (19%). The most popular activities of those brewing at home were reported as reading (86%), followed by shopping (79%), and going to the theater (61%). Those who drink Starbucks and Dunkin Donuts go to the gym significantly more than those who brew at home. Starbucks drinkers play sports significantly more than those who brew at home. Starbucks drinkers get manicures/pedicures significantly more than those who brew at home. Dunkin Donuts drinkers watch reality television significantly more than those who brew at home. This entry was posted on Wednesday, March 4th, 2015 at 9:10 pm. Both comments and pings are currently closed.